Sadly another giant has left us. Mohammed Ali was known for many things: champion boxer, his religion and racial equality. Most people think the LOA is similar to shopping at Amazon. Put in your order and wait to for it to be delivered. LOA actually works on how you are feeling today and attracts more of it to you. 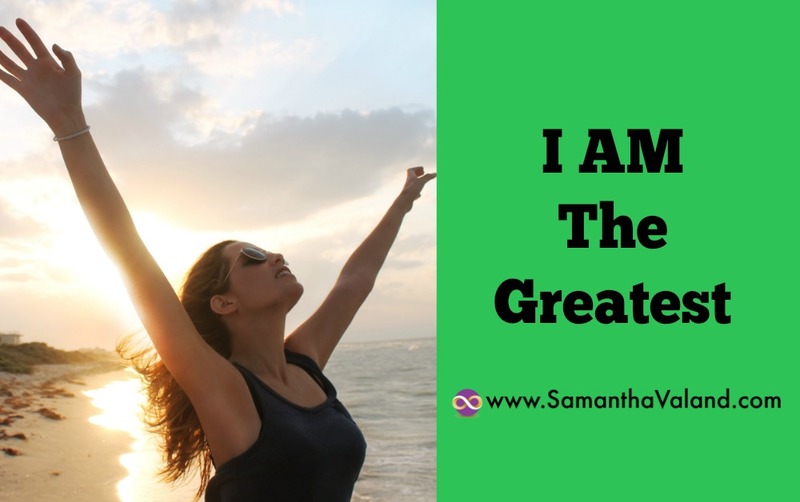 The key is the ‘I AM’ statement. It is simply a statement we are making to the universe. We use it every day often without thinking about it. It is usually a reflection of how we a feeling at a particular moment in time. Mohammed Ali used his statement to announce he was the greatest. How do you use yours? Most of us are quite negative with how we talk about ourselves. We expect something externally to change how we feel when it is an inside job! Watch yourself and people around you speak and how changing a few words can make a difference. If you keep repeating this to the universe, it will keep sending you events so that statement remains true. You will remain poor. Feeling wealthy is not just about money. Finding gratitude in what you have right now is a big step to feeling wealthy. Find gratitude in the simple stuff, it does have to be big. Think and say “I AM wealthy” and then also feel wealthy because of your gratitude list. Think of you want to feel and words and phrases that can help you pull how you want to feel in the future into the present. It is often simply the opposite of how we are describing ourselves today. Louise Hay recommends standing in front of a mirror, looking yourself in the eye and repeating your statement. If you are unfit you can’t just flick a switch and become fit, it takes time. If you have decided you want to become fit, you will start to exercise several times a week. While you may feel still feel unfit, your behaviour is now of a fit and healthy person. So if saying “ I AM fit and healthy” feels like a stretch, you could say “I AM making healthy choices everyday” or anything else you choose along those lines to bridge the gap. Pulling what you want to feel in the future into the present. One of my favourite statements is from Gay Hendricks.